The forests of Alberta’s Rocky Mountain and Foothills Natural Regions are home to a diverse array of wildlife and serve as the water catchment for most of Alberta, as well as large parts of Saskatchewan and Manitoba. AWA is committed to maintaining and restoring Rocky Mountains and Foothills forest ecosystems that will sustain biological diversity and viable wildlife populations, provide clean drinking water, and promote long-term economic opportunities. AWA believes that these forests must be recognized and managed for their immense watershed and wildlife values, not just as a source of timber, and supports ecosystem-based forest management. AWA actively advocates for proper recovery of species at risks within Alberta’s Rocky Mountain Forests, including caribou, westslope cutthroat trout, and grizzly bears. The Fish and Forests Forum collaboratively brings together groups to work on issues related to native fish and Eastern Slopes. Rocky Mountain Forests, which also equate to Alberta’s Eastern Slopes, are situated in the high elevation, high precipitation area of western Alberta. These forests serve as the water catchment for most of Alberta, as well as large parts of Saskatchewan and Manitoba. Healthy forests serve an invaluable role in collecting, storing and filtering water, and slowly releasing it into creeks and rivers. Forest elements such as soil, understory vegetation and dead wood store water during periods of high precipitation and slowly release it as conditions dry. In the same process, these forest elements filter water, improving its quality. In the past, management of these forested lands placed a priority on the production of a sustained and healthy water supply. In more recent years, this has arguably been superseded, so that the primary use of forests has become the production of a sustained supply of timber. By removing or damaging these essential elements, as through clearcut logging, the landscape’s ability to filter, store and slowly release water is compromised. The 49,000-km2 Rocky Mountain Region is divided into three subregions: alpine, sub-alpine and montane subregions. The high-altitude alpine subregion is predominantly tree-free. The Subalpine subregion is characterized by closed lodgepole pine forests at lower elevations, open stands of Engelmann spruce and subalpine fir at higher elevations, and stunted krummholz trees near the treeline. In the montane subregion, higher elevations are characterized by closed mixedwood and coniferous forests dominated by lodgepole pine. At lower elevations, the montane subregion is comprised of lodgepole pine, Douglas fir and aspen stands with open grasslands on south and western facing slopes. The foothills region contains rolling hills and plateaus with deciduous and mixedwood forests at lower elevations; and coniferous forests at higher elevations. In 1977, the Government of Alberta created A Policy for Resource Management of the Eastern Slopes, later revised in 1984. The policy provided management intentions and direction to meet provincial social, economical, and environmental goals for the Eastern Slopes region. Watershed management was listed as the highest priority with recreation and tourism benefits being extremely important as well. The management of renewable resources, such as forests, was stated to be the long-term goal of the policy. Watershed management is approached in four ways. First, natural resources are to be developed to maintain or increase the volume and natural timing of surface and subsurface water discharge. Second, headwaters are to be managed to maintain recharge capabilities and protect critical fisheries habitat. Third, the South Saskatchewan River Basin is to be intensively managed to maintain water supply stability. And finally, the North Saskatchewan and Athabasca river watersheds are to be managed to maintain natural flows and provide the option for future increases in water yield. Timber is to be managed to ensure a healthy forest environment and harvested through sustained-yield. The Eastern Slopes Policy introduced 2 designations for environmental protection: the prime protection zone and critical wildlife zone. The prime protection zone preserves the high elevation forests and slopes that have high aesthetic and ecological value. These zones get the greatest amount of precipitation, and therefore, are responsible for the majority of stream flow of the region. These areas also contain critical wildlife ranges for big horn sheep and mountain goats. A wide range of recreation options, from hunting to alpine skiing, are permitted in this zone. Most industrial developments are incompatible with this zone. The purpose of the critical wildlife zone is to protect terrestrial and aquatic habitats that are crucial to the maintenance of wildlife populations. Critical wildlife zones contain ranges, migration routes, calving and spawning areas. Recreational activities and resource extraction are permitted to varying degrees within this zone. AWA supports the Eastern Slopes Policy and strongly recommends a moratorium be imposed on motorized recreation and trail development in the prime protection and critical wildlife zones, as well as critical habitat for species at risk. Currently, the quantity of forestry activity is managed through Forest Management Agreements (FMA), with mandatory cut requirements (e.g., allowable annual cuts), that may inadvertently allow logging beyond long-term sustainability. In addition, these management systems do not provide any incentive to harvest in a method that retains ecological diversity or limits impact to species at risk. Conserving old-growth forests and threatened forest ecosystems. This strategy recognizes that the long-term benefit of a forest is directly reliant on the ecological health of the forest. Maintaining biodiversity and forest production is essential to healthy forest ecosystems, which in turn provides long-term socio-economic benefits. Forest ecosystem management consider both consumptive uses, such as forestry and hunting, as well as non-consumptive uses, such as low-impact recreation and aesthetic value. The cumulative effects of increased human access, habitat fragmentation, and clearcutting are detrimental to forest health, species at risk, and water quality. Forest logging roads are often poorly built, with limited regard for hydrology, erosion and sedimentation, due to their limited use and temporary nature – once logging is complete, the roads are abandoned. “Left-over” logging roads may still be used by recreational users and energy tenure holders. Off-highway vehicle (OHV) recreational use can increase the linear disturbance footprint created by access roads as branching trails are often created off of the main road. Poor maintenance and continued use of the access roads and subsequent trails can greatly increase the amount of sedimentation that drains into the watershed. This effect is compounded by changes in hydrology and the reduced number of trees that are responsible for water storage and related slow-release. Native Alberta fish species, such as threatened bull and westslope cutthroat trout, rely on cold clear water to thrive. Linear disturbances contribute to increases in sedimentation, which can suffocate eggs during spawning. More exposed earth also contributes to increases in water temperatures which may cause fish die-off or increased stress by inducing changes to how they feed, grow, breathe and reproduce. These adverse effects also affect humans as they can increase the cost of water purification and ultimately limit the security of Alberta’s water supply. 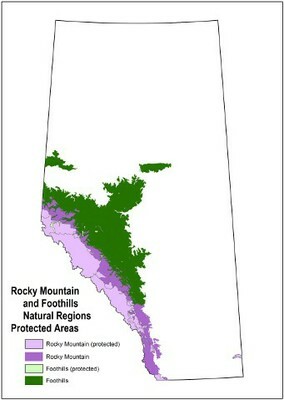 Due to these deleterious effects, AWA believes that industrial-scale clearcut logging should be eliminated from (a) Wild Spaces delineated on AWA’s Wild Alberta map, (b) Woodland caribou range, (c) the entire Eastern Slopes in the Bow and Oldman River watersheds, (d) Prime Protection and Critical Wildlife Zones of the Eastern Slopes north of the Bow River watershed, and (e) areas identified as environmentally significant. Sustainable forestry needs ecosystem based models that allow natural control mechanisms to function. This will include the restoration of natural insects and diseases as well as the restoration of wildfire on the landscape. Forest management plans and procedures must be changed to comply with recovery plans for species at risk. The Alberta government’s 2008 Grizzly Bear Recovery Plan notes that “human use of access (specifically, motorized vehicle routes) is one of the primary threats to grizzly bear persistence”. While linear disturbance thresholds have been set in theory, there is no indication that management plans are being updated to implement these thresholds in practice. Similarly, critical habitat for endangered fish species have been established but largely ignored when siting access roads and limiting motorized recreation. 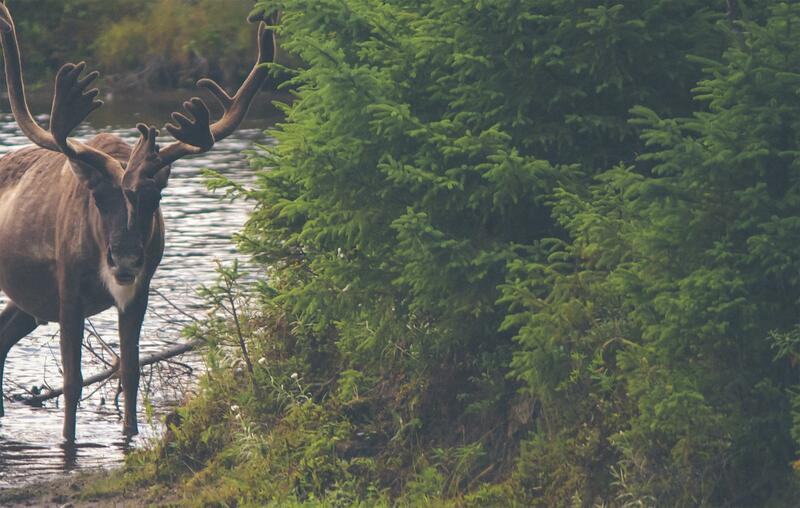 Caribou are also affected by industrial development: competing species, such as deer and moose, are stimulated and predators can hunt along linear disturbances with increased efficiency. Woodland caribou populations require as much as 65 percent undisturbed habitat to have a better-than-even chance of being self-sustaining. Additionally, protection of caribou and other species at risk will benefit many other species in the ecological community. Four of Canada’s great rivers originate on the Eastern Slopes of the Rocky Mountains: the Peace, Athabasca, North Saskatchewan and South Saskatchewan. Healthy forest ecosystems play a critical role in ensuring a high quality and quantity of water, especially when located in large watersheds. Forest elements such as soil, understory vegetation and dead wood store water during periods of high precipitation and slowly release it as conditions dry. In the same process, these forest elements filter water, improving its quality. By removing or damaging these essential elements, as through clearcut logging, the landscape’s ability to filter, store and slowly release water is compromised. Throughout North America, municipalities have recognized the importance of watershed ecological integrity in supplying quality drinking water. Some municipalities, including New York and Vancouver, have gained control of lands in their upper watersheds to retain their critical forest elements and protect the water supply. 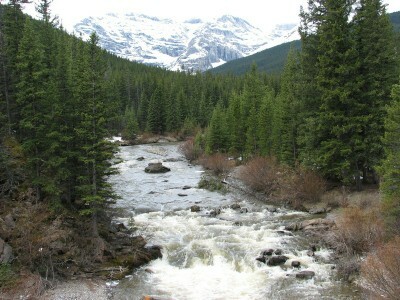 In contrast, the headwaters of much of Calgary’s water supply have been included within a Forest Management Agreement granted by the Alberta government. The United States Lumber Coalition files a petition with the US Department of Commerce to investigate Canada’s softwood lumber exports and potentially add new duties to softwood imports. Global Forest Watch Canada’s study on the Castle Parks indicates that the remaining intact forests in the proposed Castle Provincial Park have been significantly reduced. Between 2000 and 2015, 76% of the forests became disturbed landscapes and are no longer secure habitat and watersheds. Global Forest Watch Canada releases Canada’s Intact Forest Landscapes Updated to 2013. The report found that intact forest landscapes declined by 4.8% from the year 2000. Approximately 17.5% of this forest loss was located within protected areas. The Softwood Lumber Agreement (signed in 2006) between the United States and Canada expires on October 12. A 1 year moratorium on the US lumber industry’s ability to take legal action against Canada’s softwood lumber industry is instated. The Alberta Government announces on September 4 that it plans to designate the Castle Special Management Area under Parks’ legislation through the creation of a Castle Provincial Park and Wildland Provincial Park. Commercial forestry in the Castle Special Management Area has been stopped and the process to designate the entire area under Parks’ legislation is underway. AWA sends a letter to FSC Canada’s President, outlining the need for FSC to take control over the auditing process to ensure it is truly independent of industry. As it stands today, FSC sets the rules and accredits independent certifying organizations to carry out the audits of forest management to the agreed set of principles and criteria. Forestry companies then hire any of the accredited certifying organizations and are able to transfer to a different certifier once every five years. AWA learns that experimental logging of Star Creek Valley is going ahead, despite the number of groups and individuals expressing concern about the project. Of particular concern is that the creek, downstream of the proposed logging area, contains westslope cutthroat trout, which is a federally and provincially listed threatened species. FSC Certification to Spray Lakes Sawmills is granted on December 3 2014 by Bureau Veritas (BV). The transfer audit report from Smartwood to BV contained 60 minor non-conformances, which the transfer audit report stated was an “extremely high number of non-conformances for a Canadian forest.” Yet BV closed all but one minor non-conformance. This huge discrepancy between two certifying organizations in less than a two year time period between audits, calls into question the standards of FSC certification and the certifiers. The final version of the South Saskatchewan Regional Plan (SSRP) was released on July 23 and announced three new Wildland Provincial Parks thanks to the plan in addition to promises of watershed and headwaters protection, with forest management being the highest priority. Unfortunately, the SSRP is rife with ambiguous language, lacks key conservation pieces, and fails to protect the more bio-diverse regions of the Castle region in the newly-designated Castle Wildlands Provincial Park. Logging in Hidden Creek, the most important spawning grounds for threatened bull trout in the entire Oldman River system in southern Alberta, reaches its end. It also contains threatened westslope cutthroat trout. AWA believes that the details surrounding this logging operation, including the lack of an appropriate risk assessment, the speed of the operation, and numerous deviations allowed from the Operating Ground Rules, point to a failure on the part of the provincial government to adequately protect these threatened species. Tentative FSC Certification is granted to Spray Lakes Sawmills (SLS) by Smartwood following a Complimentary Audit in August 2013. Smartwood closes three of the four major non-conformances, and downgrades the last one to a minor non-conformance. Once tentatively certified, sixty minor non-conformances had to be transferred to and reviewed by Bureau Veritas (BV), who were hired by SLS to be their second certifier. AWA and other stakeholders were informed by SLS on March 14, 2013 that SLS failed in its first certification attempt for FSC Certification due to non-conformance with the principles found in FSC Canada’s National Boreal Standard. The initial audit by Smartwood included 4 major non-conformances and 59 minor non-conformances. Spray Lake Sawmills (SLS) is unsuccessful in its application for certification of its forests as sustainably managed. The company applied in 2010 for certification by the Forest Stewardship Council for the Kananaskis and Ghost parts of its operations (the forests covered by SLS’ twenty-year Forest Management Agreement (FMA) with the Alberta government: from the southern tip of Kananaskis Country north to Sundre). Surprisingly, though “public openness” is a core tenet of the FSC certification process, the reason for the company’s failure remains confidential. Castle-Crown Wilderness Coalition and local residents initiate a judicial review into the Alberta government’s decision to allow clearcut logging in the Castle. Four protesters are arrested, February 1, by RCMP for declining to leave the Castle logging protest camp, despite a court order to do so. Road clearing work at the site begins. Despite extensive public opposition, government plans for a clearcut logging operation in the Castle continue. Most of the timber cut by Spray Lake Sawmills will be used for fence posts and garden mulch. Despite the frigid temperatures, local residents set up a protest camp in the planned logging location. More than 150 people attend a rally, January 22 to protest the logging. More than 400 people attend a public meeting in Bragg Creek, January 26, timed to coincide with a SLS open house. Logging plans for the C5 forest management area are changed to include clearcut logging in the Castle, despite intense local opposition. 120 hectares of this “matchstick forest” are scheduled for clearcutting. The new premier, Alison Redford, receives thousands of letters and emails asking her to suspend the logging and protect the Castle. No attempt is made to explain how these conflicting recommendations will be managed. Area releases an updated report, The Forests of Alberta’s Southern Eastern Slopes: Forest or Forestry? The new priorities from the draft Land-Use Framework document are seemingly ignored when the Alberta government publishes the final Management Plan for the C5 Forest in July 2010. AWA is intensely disappointed that the final plan shows very few changes from the discredited 2007 draft. The 125% “surge” cut has now become a 120% “surge” cut, but AWA believes that the new plan is still very much a “logging” plan rather than a “forest” plan. The huge Lost Creek fire burns more than 21,000 hectares of the C5 Forest. Fighting the fire costs and estimated $30 million. Following public hearings held in 15 centres in western Alberta regarding forestry operations, the The Environment Council publishes The Environmental Effects of Forestry Operations in Alberta. The Provincial Lands Act continues the system of timber berths and permits which had been established under Dominion legislation. One-year licences for timber berth holders are tied to establishment of a mill, and payment of rent and royalties.